In component manufacturing and metal stamping, sometimes there are complex geometries in projects, and these complexities offer an infinite number of variables that could negatively impact quality control. 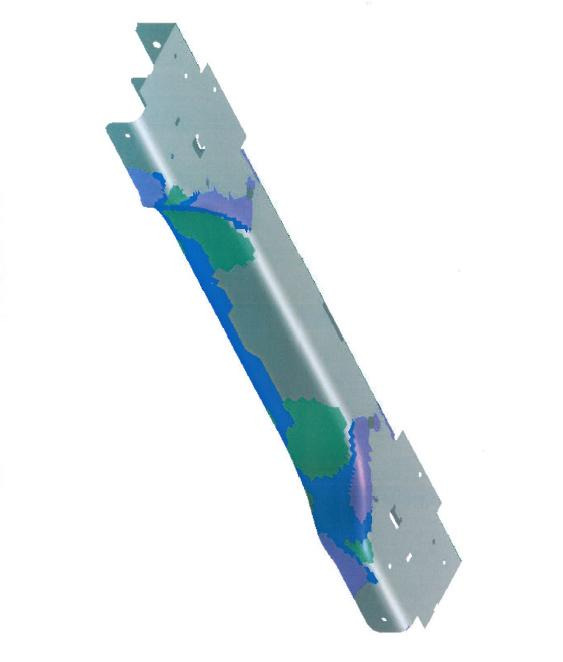 For most component manufacturing or metal stamping projects, it makes sense to take advantage of the benefits of performing a Finite Element Analysis (FEA) to ensure problem-free production and positive end results. FEA offers you peace-of-mind by ensuring that your designed component can be manufactured at a production basis, at a point where you can make adjustments, if necessary. At Manor Tool & Manufacturing, we’re experienced at conducting FEA, and, with our clients, we’ve witnessed the benefits of FEA first-hand. Here’s how FEA works: Using FEA software, we turn your product design geometry (the final part design) into tooling surfaces and use it in simulation to engineer a successful forming process in the “virtual world” – at a place and a point where design imperfections can be caught and fixed without negatively impacting tooling, production or your business’ bottom line. Through our extensive engineering experience and FEA capabilities, Manor offers our clients the know-how and assistance required to help them decrease production costs, save time on their projects, and deliver problem-free production, no matter how complex the design specs might be. On your next component assembly project, we can help you achieve these benefits – and give you confidence in the final results. Work with Manor to get innovative component manufacturing solutions that deliver efficient, cost-effective, progressive die-stamped products. Contact us to learn more about our capabilities and to discuss Finite Element Analysis in more detail. Or visit our portfolio gallery and read one of our customer’s success stories using FEA to maximize the effectiveness of the die-stamping process. We look forward to working with you!